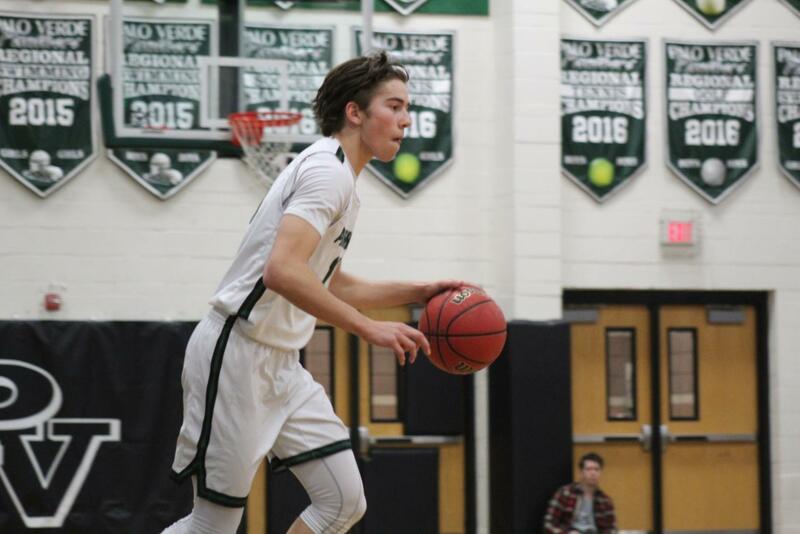 The Palo Verde Panthers took on the Arbor View Aggies on Thursday, Jan. 17 as they competed for another win. Students and parents alike came along to support the Panthers, as well as cheerleaders and the dance team. The Panthers worked hard and with respect, but couldn’t quite make it with the final score ending up as 54-66. The first period started off with a little back n’ forth between the Panthers and Aggies. Once the Aggies scored, the Panthers quickly followed up to tie the score. Antonio Maillaro was able to finish the first period with two layups adding to the score a total of four points. This brought the final score to 13-6. Senior Caden Loerwald made sure to start off the second period strong with scoring two points. Antonio Maillaro scored the Panthers two more points in a layup shortly after a short timeout. After the Panthers fought hard to keep the ball in their end of the court, Drew Warnick was able to score two points with Kade Madsen following close behind adding another two points in a layup. At the end of the second period the Panthers still held a winning score of 27-23. Harlan Nichols swiftly scored two points in the third period. After the Panthers and Aggies fought running back n’ forth on the court again. With only two minutes and ten seconds left of the third period a timeout was called with the score of 31-41. The Aggies dominated the rest of the third period and most of the fourth period as the Panthers fought hard to keep up. With one minute left in the fourth period, an Aggie player breaks away down the court with Antonio Maillaro close behind him. At 56.4 seconds left the whistle blows as the ball fumbles out of the Aggies control and out of bounds. Everyone in the stands and on court hesitated as they awaited to see what the call was going to be made by the refs. “Well at first what [the ref] had said was they called it out of bounds our way and then the other ref came in and overruled it and called it an intentional foul but all that was was a hussle play by Antonio,” explained Head Coach Condron. Coach Condron explains that what Maillaro was doing was a hussle play and in no way had Antonio meant to foul the Arbor View Aggie, nor had he fouled him. Once the refs made the call as a flagrant foul everyone went off with a negative reaction. The crowd booed at the players on court and Coach pulled aside one of the refs in confusion as Maillaro had performed no foul whatsoever. As frustrating as it was to have the foul called as intentional by Maillaro, it was the deciding factor of the game. “It was just a crucial part of the game and I couldn’t believe he called a flagrant foul. That didn’t decide the game though… It’s the duration of the whole game that decides it,” stated Maillaro. As the panthers managed to pull through and continue to play hard until the final buzzer rang at the end of the game with the score of 54-66, they managed to walk off the court with pride knowing they all played their absolute best. “After the game, I felt a lot of different emotions. I was frustrated because the goal was to win, but even though we didn’t get the outcome we wanted, I still felt a sense of Palo pride,” Maillaro said. 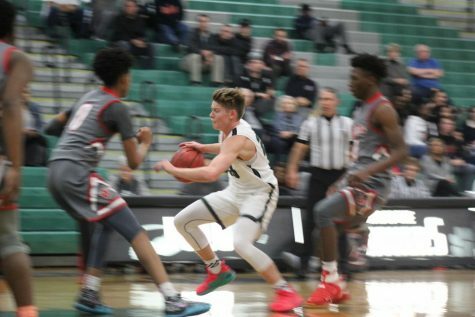 This minor setback definitely won’t stop the Panthers from coming back strong in their game versus the Shadow Ridge Mustangs on Jan. 23, and won’t hinder them from player their hardest this season.